We all had that teacher in high school who gave tough assignments and expected us to be prepared every day for class. Who graded on merit, not the curve. That teacher we may have complained about at the time, but, as the years passed, we learned to appreciate for the discipline they instilled in us to always achieve our best. 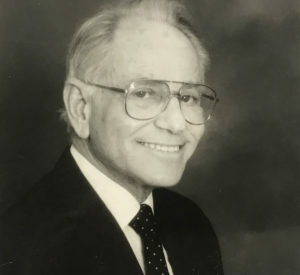 Judge Hugo Max Spitz will be remembered for many things by many people, but as a founding partner of the Steinberg Law Firm, he will be remembered by us for being a teacher and mentor. The values he instilled in us were to zealously represent our clients, honor our profession, and, most importantly, to give back to our community. Judge Spitz will certainly be remembered as a tireless advocate for injured working men and women. The cases he handled and encouraged us to handle are taught in law school classes today. Cases like Sellers v. Pinedale Residential Center, in which a student working part-time after high school was involved in a car accident that left him a paraplegic. The student was facing a lifetime of poverty if his compensation benefits were limited to two-thirds of his part-time, minimum wage earnings at the nursing home. We saw the injustice and fought the case in the courts, finally receiving an award for benefits based upon the student’s probable future earnings. Never satisfied with the way the law was, Judge Spitz fought and encouraged us to fight to expand the rights of working men and woman. Judge Spitz took great pride in being a lawyer and was dedicated to the legal profession. He was a founding member and president of the South Carolina Association for Justice. A founding member of the South Carolina Injured Workers Advocates. 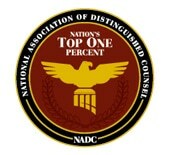 A founding member of the Civil Justice Foundation. Founder and life-long board member of the South Carolina Workers’ Compensation Education Association. He believed fervently in the power of the law to make life better for everyone. No one was ever denied representation because of their social or economic standing or background in the community by the Steinberg Law Firm. Duty and service to others was the hallmark of Judge Spitz’s life. Exempt from service as the sole surviving son, he nevertheless volunteered and served with distinction in the U.S. Navy during WWII. He served as municipal judge for the City of Charleston he loved. He was a former chairman of the Franklin C. Fetter Health Clinic. A member of the Board of Governors of the South Carolina Patient’s Compensation Fund. He served on the board of the Charleston County Substance Abuse Commission. Judge Spitz encouraged us to always help those most in need, like those served by the Rural Mission on John’s Island and the migrant families working our local farms. He also served as President of Emanu-El Synagogue, Vice President of the JCC, and was a member of the Hebrew Benevolent and Hebrew Orphan Societies. For his lifetime of service to his country, his community, and his faith, Judge Spitz was awarded the Order of Silver Crescent by the South Carolina Governor. Judge Hugo Max Spitz gave us the chance to practice law with the Steinberg Law Firm. He was demanding and expected nothing less than our best. To Judge Spitz, our best meant carrying on the Steinberg Law Firm tradition of zealously representing our clients, honoring our profession, and serving our community. Judge Spitz was our mentor and made us all better lawyers. We at the Steinberg Law Firm are proud to carry on the tradition of dedication, excellence, and community service our founders like Judge Spitz instilled in all of us.